Whether you’re moving to or from the Northern Michigan area, you’ll need a mover you can rely on for a stress-free relocation. Guindon Moving & Storage will take care of every aspect of your local, long distance or international move in Escanaba or Negaunee, MI and the surrounding areas. We have been providing full-service moving and storage to families and businesses moving in and out of Northern Michigan and Wisconsin for over 80 years. With so many years of experience, we truly understand what it takes to successfully complete a move, no matter if it is a residential move, commercial relocation, or hospital move. We also provide short and long-term storage options for household goods or commercial assets in our secure, government-approved warehouse facilities. Trust the expert movers of Guindon Moving & Storage when making your move to the next city over or across state lines. 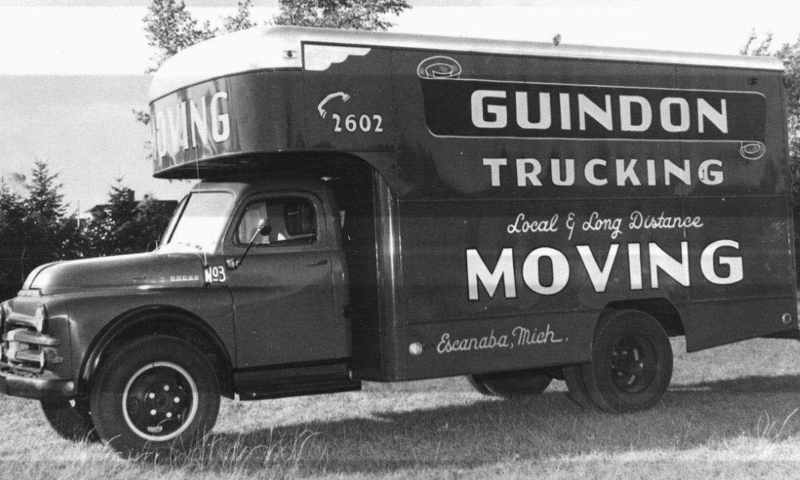 Guindon Moving & Storage will work closely with you in order to provide you with the best moving experience possible. As agents of Stevens Worldwide Van Lines, we have access to a nationwide network of industry leading movers to help relocate you wherever you may need to go. Whether you’re moving from Detroit to Escanaba, from Marquette to Nashville, or anywhere else in the Upper Peninsula, we have the moving solution for you. We have an expert team of movers, high-quality moving resources and equipped moving trucks that will ensure all your moving and storage needs are met from start to finish. Choose Guindon Moving & Storage for your upcoming Upper Peninsula move for efficient and affordable services. For more information, please call (906)786-6560 or (906)475-4139 and a representative will be happy to assist you or fill out our online form for a free quote.